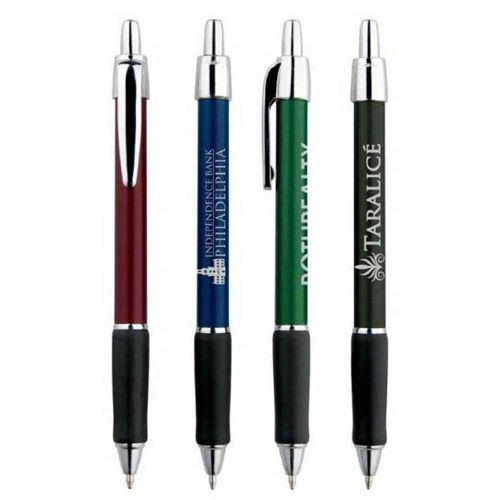 Retractable pen in rich dark colors. Medium point parker style cartridge makes for smooth writing. Black ink is standard; Blue Ink is available upon request. Price includes custom imprint in Silver or Gold. Imprint color available in gold and silver only.Black Ink Cartridge is Standard; Blue Ink is available upon request.